Looking up the Catchpool Valley into the Eco-Hotspot from the top of the Catchpool Loop Track. 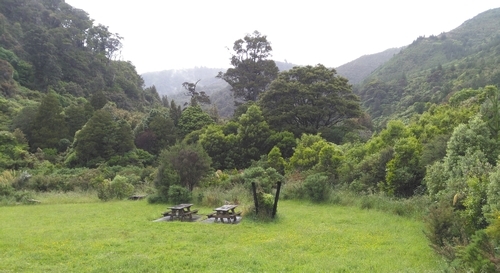 The Orongorongo Track and Catchpool Stream stretch off into the distance. 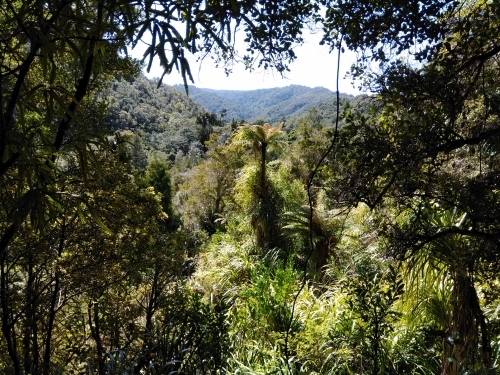 This is an area of incredible native plant diversity and is a haven for a good deal of wildlife.